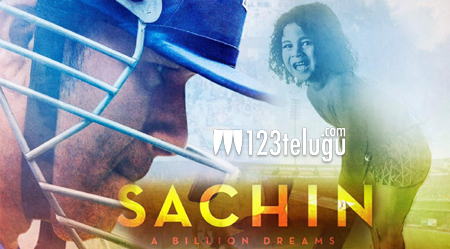 It is well-known that Sachin: A Billion Dreams, a biopic based on former Indian cricket star and Bharat Ratna Sachin Tendulkar’s inspiring life, will hit the screens this Friday. Apart from billions of fans around the world and especially in India, several celebrities across the country are eagerly awaiting the film’s release. Tollywood stars are no exception to this madness and several leading stars have been wishing the cricket legend on his film’s release by tweeting their excitement to watch the movie. While stars like Mahesh Babu, Nagarjuna and Akhil wished the legend and he thanked them in turn, young beauty Rakul Preet has had an envious opportunity to interview Sachin in his recent promotional tour in Hyderabad.